We made it to the top four!!! we wanted to thank YOU for taking the time to vote for us! Please take a moment to hop on and vote for your favorites and help us get the title! I would also like to congratulate a few of my family, friends, clients and some favorite small businesses! and so so so many more! Again, Thank YOU for all you do for us! I am now an Ordained Minister! Hey everyone! Well I did it, a goal of mine! Finally accomplished!! I am now ordained!! The Church Monastery has noted me for ordination. It has been entered into the International Database of the Ministry of the Church, whose numbers total millions worldwide. * Perform marriages, funerals, baptisms, ceremonial rites, and last rites. * Start my own church, be it brick & mortar or online. * Absolve others of their sins. * Use the title Reverend, Minister, Healer, Educator, and more. Wall Therapy in our very own Rochester! Kick off to a week long event of amazing artists painting walls in Rochester! Featuring Live Music by DJ Ease, Live Painting by our guest artists and all host of community groups! WALL\THERAPY is a public community-level intervention using mural art as a vehicle to address our collective need for inspiration. // July 20-28, 2012 in Rochester, NY. WALL\THERAPY is the name for this year’s mural project and beyond. 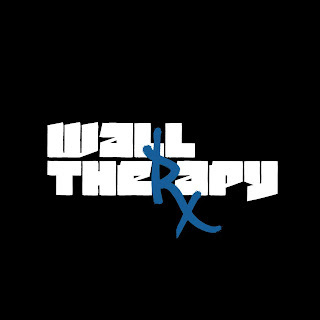 This will also be the name for the mural projects that will accompany our philanthropic diagnostic imaging sites in the developing world. Essentially, what we are doing is a community-level intervention in the form of mural art in the public space. The walls are our vehicle for inspiring and rehabilitating our community. We are intervening visually to address a fundamental collective need of our citizenry, the need for inspiration. In addition and quite literally, the walls on which our “therapists” will paint are being resurfaced and rehabilitated…given new life and energy. So it's been a month and a half since I've started here at Salon 113! It has been amazing! I could not ask for anything more! Everyone here is wonderful, talented, friendly, genuine... should I go on? I wanted to thank all of my clients for following me with this big adventure, all of my new clients that have found me over here, and a HUGE thank you to all my family and friends for holding my hand through all of the changes I have been through in the past two months. I am excited to say we have A LOT of things in the works right now from events to shoots to a new website. I am currently planning another curly girl class to be held here at the new salon where as similar to last time we will go over cutting techniques, styling techniques, color options, etc... All my curly ladies - join the movement to go natural!! Stay tuned for updates on my venture with the movement, the parties we're planning and the new and improved space! 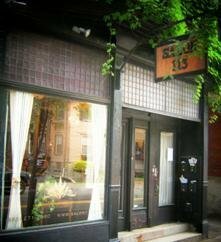 I am pleased to announce that I am moving down the street to Salon 113 to further my career starting May 15th! I will still be using Goldwell color. 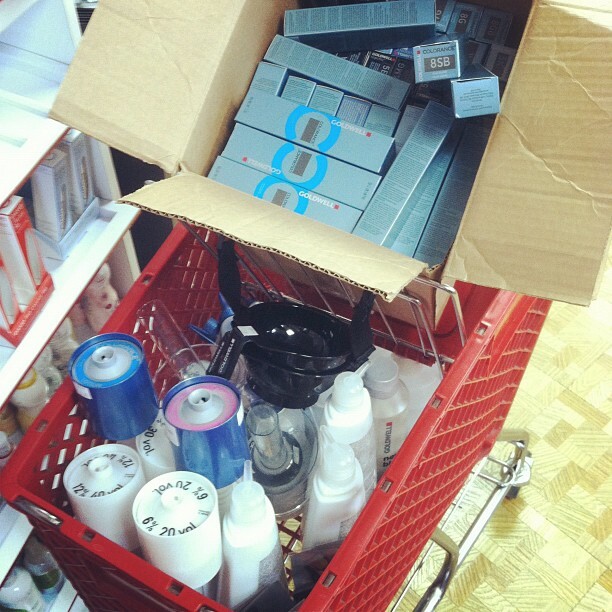 I will still be carrying DevaCurl and will continue to be the ONLY Deva Specialist in Rochester. I can order Surface products for those of you who love Surface. I will still be carrying KMS. My hours and days are exactly the same. 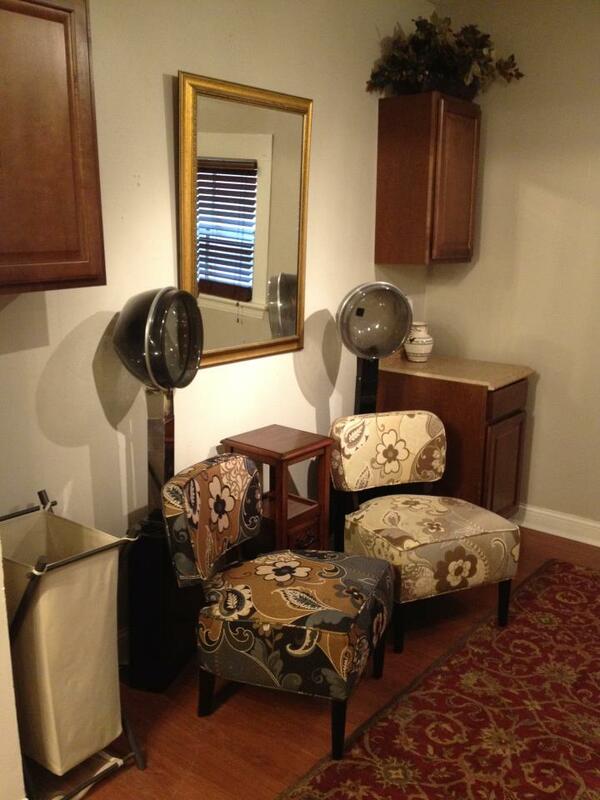 Need your hair done sooner than May 15th? Copyright © 2012 Jordan Betts, All rights reserved. I am pleased to announce that I am taking the next step in my career and I hope to continue our relationship! As all of you know Fusion is my home... I love Fusion and everyone here more than I could imagine. It is just time for me to part ways and begin working on my dreams and aspirations. I will be pursuing Deva further than it has ever gone in Rochester NY! I am currently working on finding a place that fits my personal needs as a stylist, a mother, an individual and a friend. As soon as I find my new home here in Rochester I will let you know! I don't think these ever get boring! I just love these before and after shots! Dawn, was such a sweetheart! So willing to try anything and everything I taught her! With Valentine's Day falling on a Tuesday, you have to go to work before getting ready for your Valentines Day date (that of course you men have thoughtfully planned out...) I'm going to give you a few quick tips for a do it yourself style if you can't make it to the salon to get it done up for you! Volume starts in the shower! Apply your gel in the shower with sopping wet hair and your head upside down. Scrunch in an upward motion toward your head to increase the curl and volume; remember, the slower you scrunch the less frizz you get. Hold your scrunch for a few seconds to maximize shape. Wavy Ladies - diffuse your hair for the night as it will encourage your curl to really hold and will give you the lift you need at the crown instead of the weight of your ends pulling the volume out. Curly Ladies - Let your hair air try to avoid any additional moisture loss. When you are completely dry flip your head over and break the curls up just at your scalp. That will give you maximum volume! If you can't blow dry like your stylist does, blow dry to the best of your ability- we will get you some volume :) -Helpful hint: if you need volume at the top of your head near your part line, hold your hair straight up when it's wet and blow dry the root. Also you can blow dry the top of your head in the opposite direction. That makes the "root" stand up and volumize! Try using a volume foam like; Root Lift from Goldwell or Add Volume from KMS. If you're curling your hair, overdirect your curling iron and hold. Maximum volume = Over directing your curling iron as you let it heat your hair. Those are just a few tips that may help you out a little... Here are a few pictures that I found online that may give you a touch of inspiration when you're looking in the mirror Tuesday night. ** A drastic part and a side bun (even if messy) makes it look like you spend time on your hair, but in reality you probably only spent five minutes. This half-up/ half-down look is great because you can use your natural curl or the curl you put it. Tease a little in the fringe area and pull sections back using bobby pins. Don't take the whole top section and clip. Take pie shaped sections leaving a few curls out. Pin back. Then take the little curls you left out and clip those back too on top of the pie shaped ones you already pinned. That will give you a very "organic" look. Last tip for the day ladies: use a dry hairspray! Nothing sticky, nothing wet. Check out this site for some more inspiration!